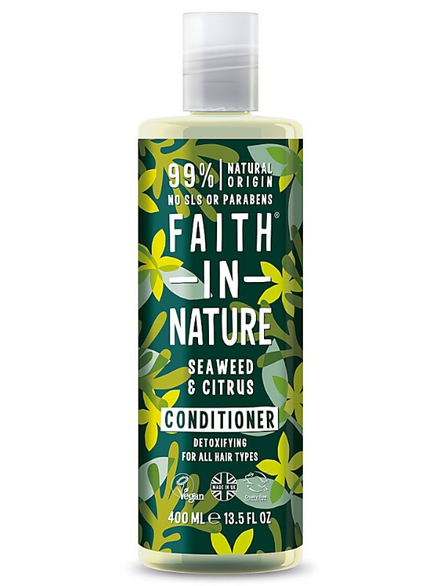 Seaweed & Citrus Hair Conditioner 400ml (Faith in Nature) - HealthySupplies.co.uk. Buy Online. Refreshing Seaweed & Citrus Conditioner with Aromatic Lemon Aromas. Infused with wild harvested seaweed. For best results use after this refreshing Seaweed and Citrus shampoo! Shampoo with a soothing blend of Ginkgo Bilobo and Chamomile.